Audition Definitive Technology Speaker Systems in our Raleigh Showroom. We have several professionally calibrated Definitive Technologies Subs, Sats & On-Wall Models on display. Definitive Technology has something for everyone. 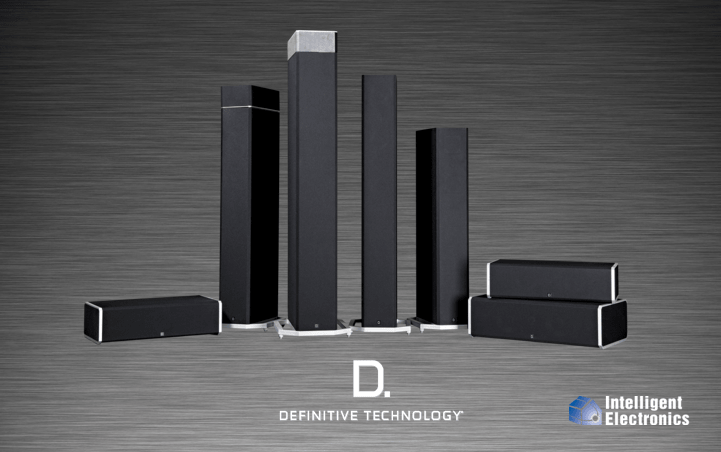 Definitive speakers sound great, look great and are an unbeatable value. Their powered products bring back full range stereo performance with Home Theater capabilities. Their Disappearing in wall products have an updated refined look without compromising sound. Definitve Technology Mythos Speakers offer stylish and slim performance. They are marked by boxless three-dimensional imaging, finely detailed midrange and lightening fast deep bass. Their SuperCube Subwoofers are some of the best powered subwoofers on the market. Dollar for dollar, the award winning Super Cube is the best bet for your money. We are Authorized Definitive Technology Dealers. Visit the Definitive Technology website. Audition Definitive Technology for yourself! Def Tech Speaker System is the right choice for you and your application.